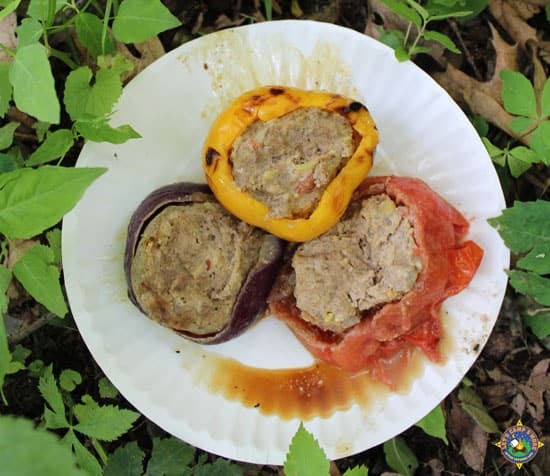 Create Meatloaf Stuffed Vegetables over the campfire on your next camping trip. This year we have been into cooking in and over the campfire. 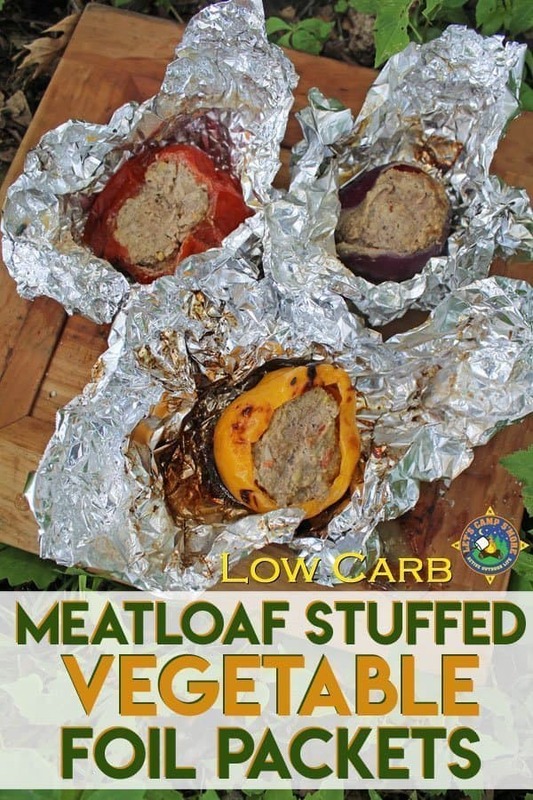 I love meat, so Diana created this meatloaf stuffed vegetables recipe. Check out Diana’s Italian Mozzarella-Stuffed Meatloaf Recipe on her blog, or our Green Chile Chicken Foil Packets. 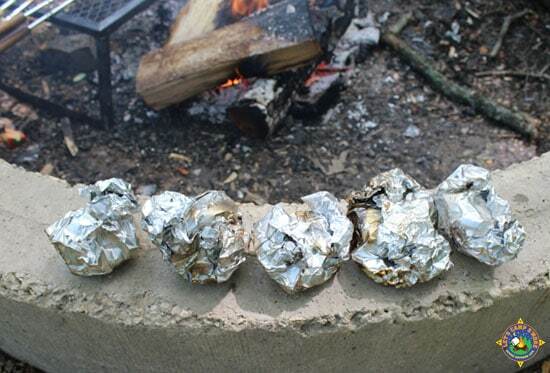 This low carb recipe is made in foil packets over the campfire, and can easily be adapted with different spices and add-ins of your choice. Meatloaf tends to get dried out, so we decided to cook them in vegetables to hold in moisture. We used bell pepper, beefsteak tomato, and red onion. The meatloaf in the tomato was the moistest, but the tomato fell apart and got mushy. The mushy tomato still tastes good. The meatloaf in the bell pepper really took on the taste of the bell pepper and was the most flavorful. For this recipe, we used ground beef, zucchini, spices, egg, and a mixture of almond flour and parmesan cheese. If you prefer, use bread crumbs instead of the almond flour mixture. We use almond flour to keep it low carb. 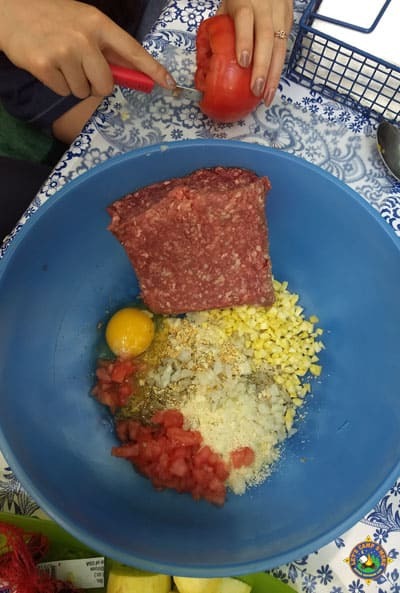 Mix all the ingredients for the meatloaf and set aside. We found that it is easiest to mix it by hand. Hollow out your vegetable to create a cup for the meatloaf. 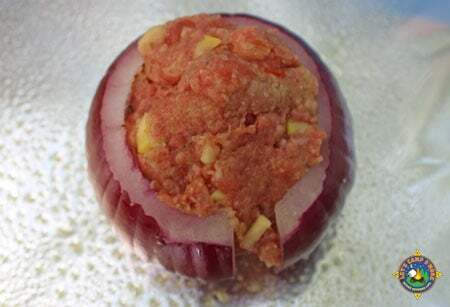 If you use an onion, you will just have to use one of the larger layers of the onion to wrap around your ball of meatloaf. Roll out a large ball of meatloaf. Put the ball into each vegetable. 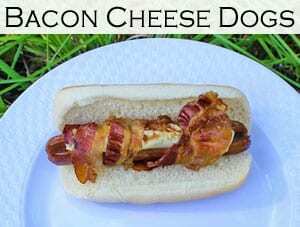 Place it on a double layer of heavy-duty aluminum foil and tightly close up the foil. Put the stuffed meatloaf packet into the coals created in your campfire. Cook for 18 to 32 minutes, depending on the heat of your fire. Rotate or move around your foil packet for even cooking. Carefully open and check to make sure it is fully cooked. We really enjoyed this moist meaty entree. Are you a meatloaf fan? 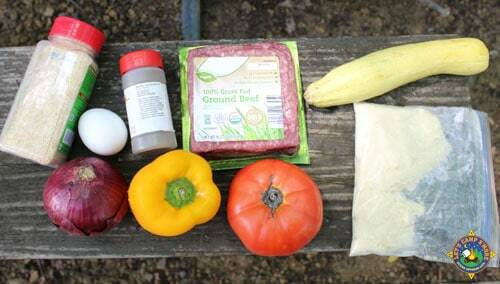 What would you stuff your meatloaf patty into? 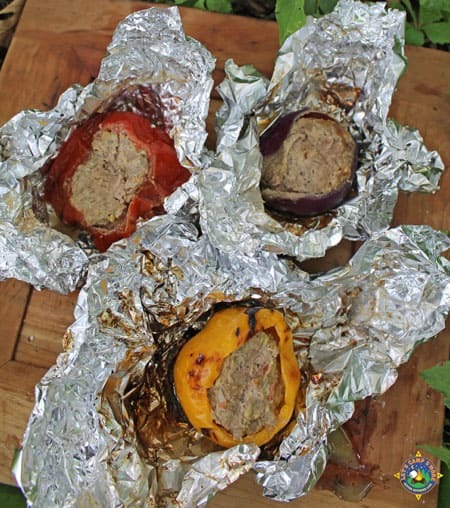 Your Meatloaf Stuffed Vegetables look so good and would be great at the campsite! Hope you are having a great week and thank you so much for sharing with us at Full Plate Thursday!